On Nov. 30, George Herbert Walker Bush, the 41st President of the United States passed away. After serving as a pilot in World War II, Mr. Bush moved to Midland, Texas, where he began a successful business career in the oil and gas industry, then entered public service. Few, if any, have ever had a more impressive resume: Congressman, Ambassador to the United Nations and China, Director of the Central Intelligence Administration, two-term Vice-President, and President. He described America as “an endless enduring dream and a thousand points of light.” Those lights don’t burn quite as bright without him. President George H.W. Bush has been my personal hero for decades: I worked on his presidential campaign and danced (poorly) at his inaugural ball. This column is dedicated to his memory. Over the last couple years, there’s been a lot of change at the Federal Energy Regulatory Commission (FERC), which has often operated with fewer than five commissioners and seen a revolving door on the chairman’s office. To recap, during the 2016 election there were two commissioners and Chairman Norman Bay — all three Democrats. After the election, Bay resigned (leaving only two commissioners and no quorum), and Cheryl LaFleur became chairman (for a second time). Soon thereafter, Democrat Colette Honorable resigned, leaving LaFleur alone to guide the FERC. In August 2017, the quorum was restored, when two Republicans, Neil Chatterjee and Robert Powelson, were sworn in as Chairman and commissioner, respectively. A few months later, FERC once again had five members, with Republican Kevin McIntyre becoming chairman and Democrat Richard Glick becoming a commissioner. That didn’t last long, however, as last summer Powelson resigned to take a job in the private sector. On Oct. 24, 2018, McIntyre resigned as Chairman because of health concerns, but he remained a commissioner. As a result, Chatterjee once again assumed the chairmanship. Since July 2014, the name outside the chairman’s office has changed six times, while FERC has operated with one, two, three, four and five commissioners. These changes have an impact on the oil and gas pipeline industry. A majority of at least three commis-sioners is required to approve the construction of an interstate natural gas pipeline project. Without a quorum, FERC could not authorize new pipeline projects for eight months last year. In the near term, with FERC having only four commissioners (two Republicans and two Democrats), pipeline projects will not be approved without bridging partisan disagreements on key issues, such as the evaluation of its environmental impacts, as illustrated by a recent pipeline project, which just barely obtained certificate authorization. On Nov. 16, 2018, FERC granted certificate authorization for Texas Eastern to provide an additional 60,000 dekatherms per day (Dth/d) of firm transportation service between New Jersey and Pennsylvania, by replacing two compressor stations. McIntrye did not participate, leaving only three commissioners to vote. Chatterjee voted to approve the project. But the two remaining commissioners had concerns with greenhouse gas emissions that could result from the project and contribute to climate change: one Commissioner issued a concurring opinion, while the other dissented. The certificate authorization was, therefore, granted by the slimmest margin possible. Another commissioner may be on the way. President Donald Trump has nominated Bernard McNamee to fill Powelson’s seat. McNamee is currently the executive director of the Office of Policy for the Department of Energy. He previously practiced energy law for nearly a decade in Richmond, Virginia, representing electric and natural gas utilities before state public utility commissions. McNamee has also worked as a policy advisor on energy issues for Senator Ted Cruz and the Texas Public Policy Foundation, served four attorneys general in Virginia and Texas, and was a policy adviser to a Virginia governor. More recently, McNamee has been associated the DOE’s Notice of Proposed Rulemaking (NOPR), which would have required FERC to provide cost recovery for power plants that keep 90 days of fuel onsite. Intended to promote the “resilience” of the electric grid, the NOPR was viewed by many as a lifeline for the coal and nuclear industries and was eventually rejected by FERC. As a strong supporter of fossil fuels — he once authored an Earth Day op-ed extolling fossil fuels — McNamee engenders virulent opposition from environmentalists and some renewable energy proponents who would like to derail his nomination. During his Senate confirmation hearings, McNamee tried to distance himself from the NOPR and his previous statements criticizing intermittent, renewable energy generators for the problems caused by their integration into the electric transmission grid. Senator Maria Cantwell (D-Wash.), the ranking Democrat on the Senate Energy and Natural Resources Committee, demurred, claiming McNamee’s past criticism of renewable energy and praise of fossil fuels rendered him unable to serve as an unbiased FERC commissioner. All the Democrats on the committee joined Cantwell in voting against McNamee; that is, all but one — Senator Joe Manchin (D-W.Va.). After being approved by a Senate committee vote of 13-10, McNamee’s nomination now proceeds to the Senate floor. The 2018 midterm election produced several significant results. The Democrats won control of the House of Representatives, while the Republicans increased their hold over the Senate. The long-term impact of the election remains to be seen. 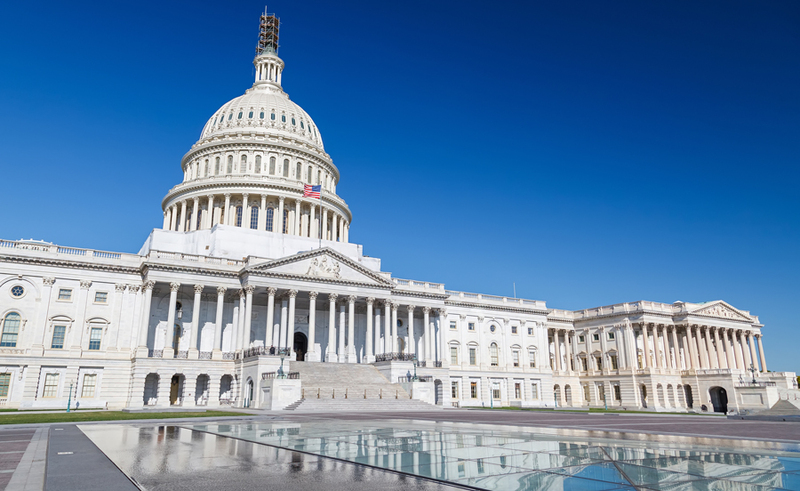 Some argue that a divided Congress will produce no major legislations, with each party posturing for the 2020 election. Others contend that the election results won’t really impact congressional production, given that the Republicans, when controlling both chambers and the White House, didn’t get a lot done. That said, the Democratic House will make more difficult passage of energy legislation promoting the oil and natural gas industry and, in particular, facilitating the construction of new pipeline facilities. The increased Republican majority in the Senate, however, will make it easier for the president to obtain confirmation of his nominees. The Democratic losses that led that increased Republican majority could also have a significant impact on the makeup of key Congressional committees, including the Senate Energy and Natural Resources Committee, where Lisa Murkowski (R-Alaska) is the chairman and Cantwell is the ranking minority member. What’s a New Year’s column without predictions? McNamee will be the next FERC Commissioner, and Manchin will become the ranking member of Senate Energy and Natural Resources Committee. By the time you read this, you may already know whether the Senate agreed with my opinions. How’d I do? 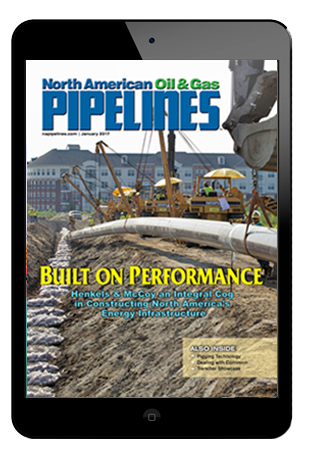 Washington Watch is a regular report on the oil and gas pipeline regulatory landscape. Steve Weiler is partner at Dorsey & Whitney LLC in Washington, D.C. Contact him at weiler.steve@dorsey.com. Washington Watch: Will Climate Change Alter FERC’s Certification Process for Natural Gas Pipelines?